The VMworld TV is a video channel (on Youtube), similar to the VMware TV, where is possible see interview to some well-know people (but also “normal” people) or watch some reports or opinions on the days or the sessions at the VMworld. Is another form of communication that fit well and complement the other for for social media. One interesting news of this year is the introduction of the VMware Community TV, that is a video channel (this time with livestream), that John Troyer gives to be used from the communities, VMUG, vExpert, … or just who ask to him (and of course has some interesting thing to share)… also in native languages. The VMworld Europe 2011 will start today at Bella Center (at Copenhagen, like last year). For the VMware Partners it was already started yesterday. But remember to share your option on each sessions (note that, for Twitter, there is a specific hashtag for each session). vBeers: see this post… and of course check on vbeers.org. Eat at VMworld: for people with special dietary requirements (submitted during registration) there is a specific area: Pre Ordered and Special Diets Catering Point (number 11) in Hall E.
PS: but in most cases (for example for vegetarians and vegan) you can simple read the recipients and choose what to want (the lunch are served as self-service)…. Eat in the city: Copenhagen is quite expensive, but you can find some good place where eat with a medium budget. IMHO the downtown area near the city hall could be good. There are also some kiosks that seem good and have also warm food. Transport: it’s confirmed that, as the last year, there is a free pass for local transport, included in the VMworld pass. The subway maybe is limited (only two lines), but is good enough to connect the Bella Center (there is a station with this name), with the airport and also with the downtown. Another option is use the train called ‘S-tog’ that connect the Bella Center (the station is more far than the subway station, but can be reach by a shot walk) with the central station. PS: there is also a free bus (only on Sun and and Mon) to connect from the airport to the Bella Center, just outside the airport. Currency: there is a local currency, but credit cards are accepted in most places… and sometime also Euro currency (I don’t know if kiosk accept also US Dollars). The verified version of VMWARE Users list is releasing on October 19th, 2011. Would you like to have a copy of the same at a low investment? You would get information such as Contact Name, Company Name, Title, Phone & Fax, Mailing Address and Business Email Address. We are providing it to only 5 customers on a first come first serve basis. So hurry and grab a copy of the same. The sender domain does not have a web page, there is no mention on how the data are collected and which is the relation with VMware (note also the wrong capitals in the email). IMHO I suggest to manage it as a spam message. 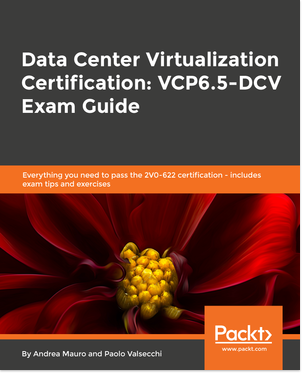 See also the sample chapter of VCP VMware Certified Professional on VSphere 4 Study Guide: Exam VCP-410 book and 5 things you need to know about VMware vSphere Alarms. See also VCP 5 Objective 7.2 – Create and Administer vCenter Server Alarms. See the vSphere Monitoring and Performance guide (page 33) and Objective 8.7 – Create and Respond to vCenter Utilization Alarms. See the vSphere Monitoring and Performance guide (page 33) and Objective 8.6 – Create and Respond to vCenter Connectivity Alarms. See the vSphere Monitoring and Performance guide (page 33) and Managing with Alarm Actions. See the vSphere Monitoring and Performance guide (page 33) and 5 things you need to know about VMware vSphere Alarms. See the vSphere Monitoring and Performance guide (page 33). See also: Objective 7.1 – Monitor ESXi, vCenter Server, and Virtual Machines. See the vCenter Server and Host Management guide (page 101). 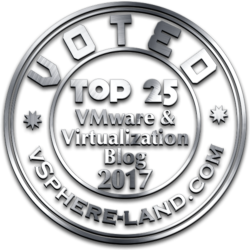 See also: Monitor vSphere ESX/ESXi and Virtual Machine Performance (for VCP4). See the vSphere Monitoring and Performance guide (page 7). See the old Basic System Administrator guide. See the vCenter Server and Host Management guide (page 37). See the vCenter Server and Host Management guide (page 36). See the vCenter Server and Host Management guide (page 38). See the vCenter Server and Host Management guide (page 98). See the vCenter Server and Host Management guide (page 143). See the vCenter Server and Host Management guide (page 112). See the vCenter Server and Host Management guide (page 111). See the vCenter Server and Host Management guide (page 28). See the vSphere Monitoring and Performance guide (page 13) and Understanding and Customizing VMware ESX Server Performance chart. See the vSphere Monitoring and Performance guide (page 43) and ESXTOP – Yellow Bricks and VMware Tools Has Perfmon Integration. See: Performance Best Practices for VMware vSphere 4.1. Where look for a hotel? Near the downdown or near Bella Center? Enter contests to WIN! Somebody must win… why not give it a try? There are only two weeks left to VMworld Europe 2011, and probably there are also some promotion code left (search at vendor site or forum). Hands-on Labs: they are great and cover the latest (or future) products. Network: meet and know people is invaluable. It is too close to the VMworld US… so who was lucky enough to be there, maybe do no need to attend also at the European edition. Most products have already been announced and/or released… so there will be less news on feature release of them… but still news on strategies, vision, and other new products. Copenhagen is quite expensive… the travel must be planned well… but maybe there are still some good opportunity for hotel and fly “cheap”. Why attend VMworld during financial crisis? With the new HA implemenation, something has changed also in the advanced options with new parameters, but also with some that now are no more available. For a list see Supported vSphere 5.0 Advanced Options. I know many of you used this advanced setting to tweak when the host would trigger the isolation response, that is no longer possible and needed to be honest. If you’ve closely read my other articles you hopefully picked up on the datastore heartbeating part already which is one reason for not needing this anymore. The other reason is that before the isolation response is triggered the host will actually validate if virtual machines can be restarted and if it isn’t an all out network outage. Most of us have been there at some point, a network admin decides to upgrade the switches and all hosts trigger the isolation response at the same time… well that won’t happen anymore! das.ignoreinsufficienthbdatastore – Disables configuration issues created if the host does nothave sufficient heartbeat datastores for vSphere HA. Defaultvalue is false. das.heartbeatdsperhost – Changes the number of heartbeat datastores required. Validvalues can range from 2-5 and the default is 2. For HA and DRS see also: HA Deepdive and DRS Deepdive. 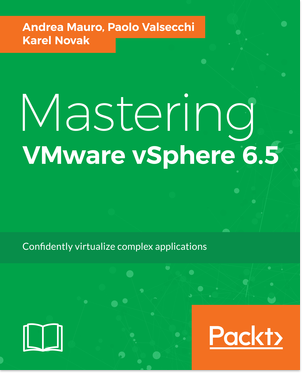 See the vSphere Availability guide (page 11) and the vSphere Resource Management guide (page 51). Basically a shared storage is required, some network configurations, and (for DRS and vMotion) a CPU compatibility or the EVC function in the cluster. See the vCenter Server and Host Management guide (page 119 and 122). For the network for vMotion a vmkernel interface is required (note that now vSphere 5 can use more interfaces). For Storage vMotion the main requirement is that the host can see both storages. See the vSphere Availability guide (page 13). Heartbeat can go through the vmkernel management interfaces (or other specific interfaces)… but now with vSphere also thought the shared storage. See the vSphere Availability guide (page 11) and the vSphere Resource Management guide (page 51). Some new windows are now available to check HA and DRS status. See the vSphere Troubleshooting guide (page 31). When planning for HA you need to plan for a maximum host failure; the number of hosts that can fail before you run short on resources. When VMs can no longer start this might be due to a lack of resources (memory is quite common) with warnings like “insufficient resources to satisfy failover level”. See the vSphere Availability guide (page 11). See VMware DRS Resource Distribution Chart. See the vSphere Resource Management guide (page 62). See the vCenter Server and Host Management guide (page 119 and 122). Check also compatibility with snaphosts. Topology maps are a easy way to show you the network and storage connection from an to hosts and/or VMs. As stated above there are some requirements to the use of vMotion live storage, networking etc. A first and easy check is to look at the topology maps and see if these requirements are met. Maps can be found when selecting a server and than selecting the tab Maps. See all the previous references and also Perform Basic Troubleshooting for HA/DRS. For HA failover see also the vSphere Troubleshooting guide (page 34). See the vSphere Troubleshooting guide (page 45). A minimum of storage enterprise knowledge is also required. See the vSphere Troubleshooting guide (page 45) and vSphere Storage guide (page 24). See the vSphere Storage guide (page 183) and VCP5 Exam Prep – Part 3.1 (in the thin provisioning points). See the vSphere Storage guide (page 107). Also a networking check could be useful. See Using VMware vSphere Storage Views. See the vSphere Troubleshooting guide (page 45).